Having moved recently I decided to renew and or upgrade several items of bedding. These pillow-cases are of high quality, they have an excellent resistance to staining and are comfortable. 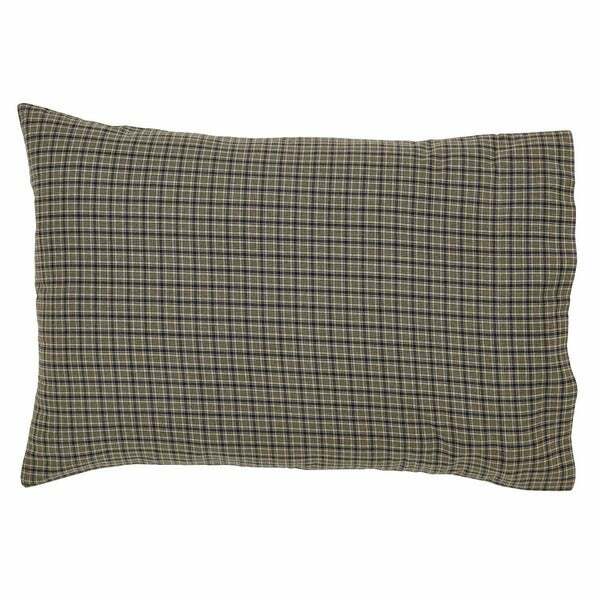 The Vincent Pillow Case set accentuates your decor with traditional 100-percent cotton navy and khaki micro plaid.